Have you been told you have astigmatism and you can’t wear contacts? We fit contact lenses that not only correct astigmatism, but presbyopia as well. These lenses correct your astigmatism and decrease your need for reading glasses too. We offer a variety of contact lenses to correct your vision. Silicone hydrogel lenses have increased the oxygen permeability and the wettablity of soft lenses dramatically. If you were unsuccessful in contacts years ago, newer lens designs and power corrections may be available to you now. The types of contact lenses available have exploded in the past few years. 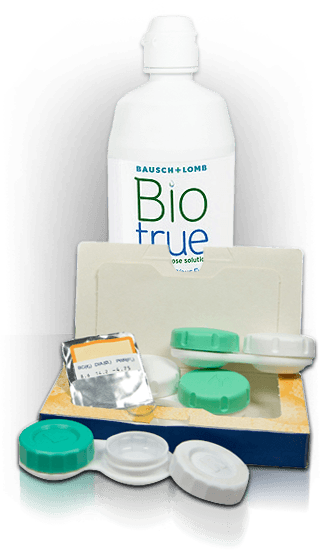 There are contact lenses available for almost everyone. Many of our patients were told in the past that they couldn’t wear contacts, or unsuccessfully tired contact lenses. You owe it to yourself to see what’s new. We carry many options, and promise to do our best in selecting contact lenses that you’ll love wearing. Choose from the following list for a brief look at some of the options available. These lenses are similar to conventional soft lenses except they are replaced more frequently. Oftentimes, they are worn for one-month periods then replaced. Other frequent replacement soft lenses types are worn two to three months before they are replaced. Like conventional soft lenses, they have to be cleaned and stored at night and cleaned once a week with an enzymatic cleaner to remove protein deposits. Disposable soft lenses are much more popular than conventional soft lenses. These lenses are worn for a period of time then, of course, thrown away. The most well-known disposables last for two weeks. There are also one-week and one-day disposables. There are perfect for many patients who were told they couldn’t wear contact lenses because of allergies or mild dry eye conditions. They have a low cost per lens and are also popular for athletes and hobbyists who don’t necessarily want to wear contact lenses every day. Toric lenses are used to correct astigmatism. Astigmatism is a vision condition where an irregularly shaped cornea affects the vision. In the past, if you had astigmatism, you only option were either glasses or hard gas permeable contact lenses. But toric lenses now offer an alternative. There are several types of toric lenses to choose from. Extended wear lenses are the result of new technology in lens materials that transmit more oxygen to the cornea of the eye. Some of these lens materials can be worn up to 30 days, day and night, without removal. Extended wear lenses can last one week, two weeks, or one month, depending upon the lens material an your doctor’s recommendations. These lenses combine the comfort of a soft lens with stable vision of a rigid gas permeable lens. The hybrid has been greatly improved over the last couple of years. These are rigid gas permeable lenses that vault the cornea and rest solely on the conjunctiva ( white part of the eye ). Patients that have keratoconus and/or very scarred corneas ( clear part of the eye ) work well in these lenses. They correct many distortions of the eye that cannot be done with other traditional lenses.